You are invited to our 2016 special carols event! If you love singing carols or even just listening to them, this is for you. We have a preference for the more traditional carols that sing of the birth of our Saviour and Lord, Jesus Christ (we’re not into snow, sleigh bells and santas). 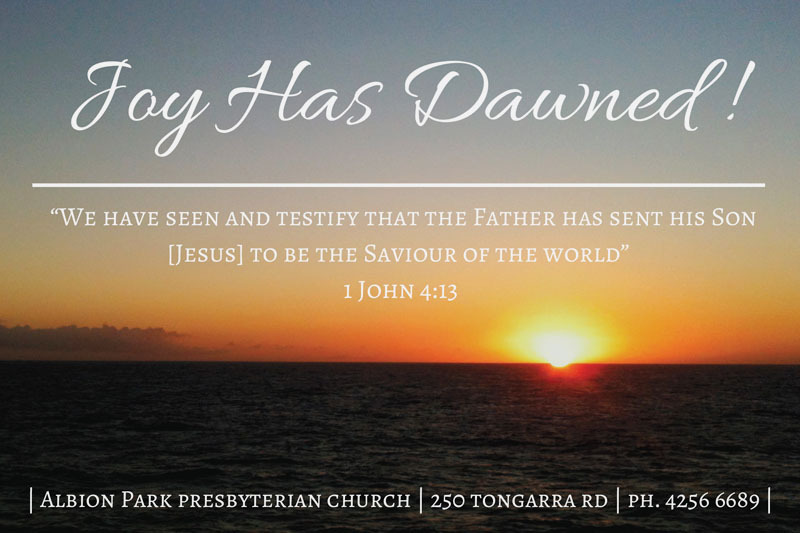 Come and hear why the story of the birth of Jesus is just as relevant for today’s troubled times as it was over 2000 years ago. 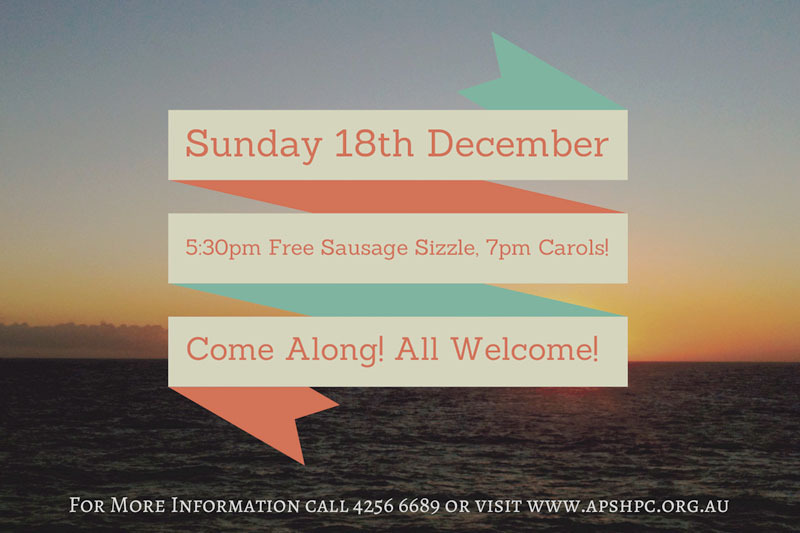 5:30 pm for a free sausage sizzle, with the service at 7 pm, followed by supper. Do we need to let anyone know we’re coming? There’s no need to let us know. 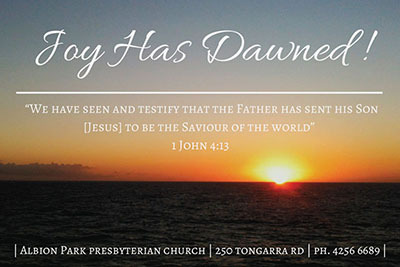 Email: carols@apshpc.org.au or phone: 4256 6689.